Florence and Susan rock the stage at the Northern Cancer Foundation’s Luncheon of Hope in Sudbury ON October 9, 2016 where the luncheon raised over $51,000! 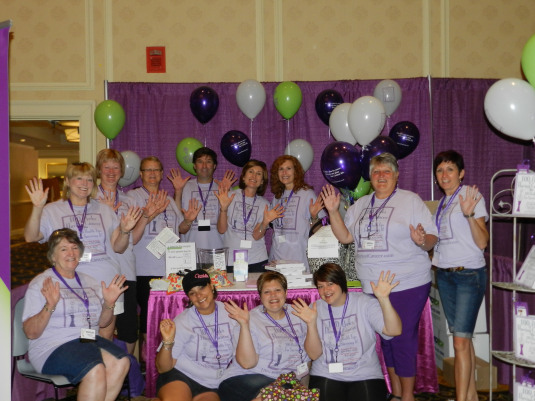 Flo presents about Stress Management through Mindfulness at the Canadian Breast Cancer Foundation Annual Retreat, June 11, 2016. 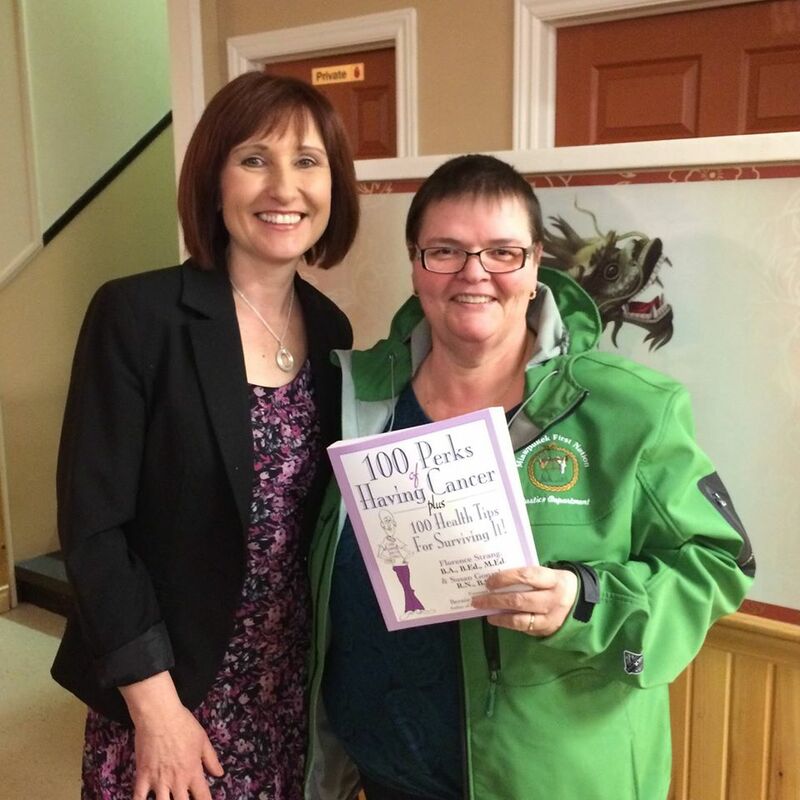 October 9, 2015: Flo and Susan teamed up in Thunder Bay, Ontario for the Tbaytel Luncheon of Hope to benefit the Thunder Bay Regional Health Sciences Foundation. 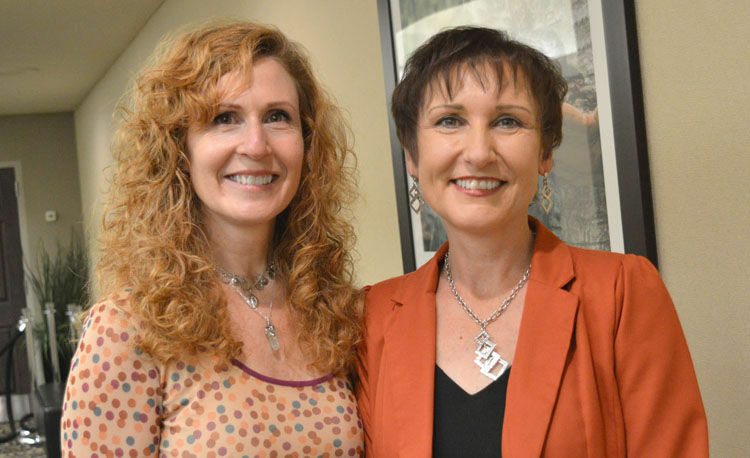 This dynamic pair spoke to a sold out crowd of over 500 as they shared their message of hope and empowerment. 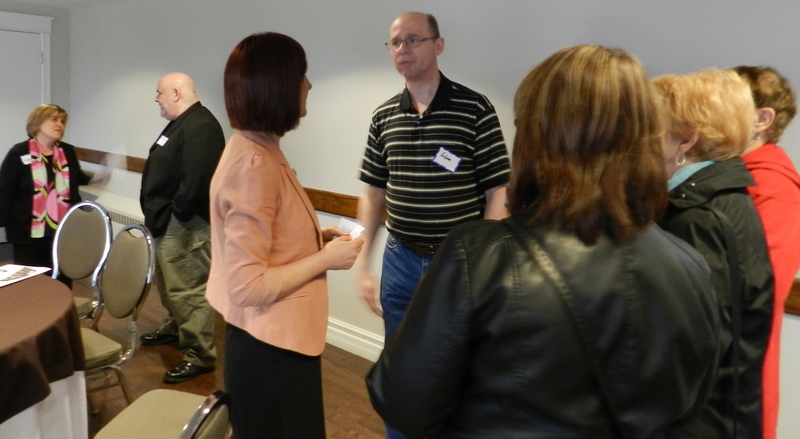 March 21, 2015: Florence spoke at the “Positive Thinks Club” in Grand Falls-Windsor about cancer survivorship. 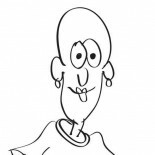 March 21, 2015: Susan was a guest on the Mimi Stoneburner radio show. Click here to listen. NOTE: If you live in Atlanta, please consider joining Susan’s Meetup group! 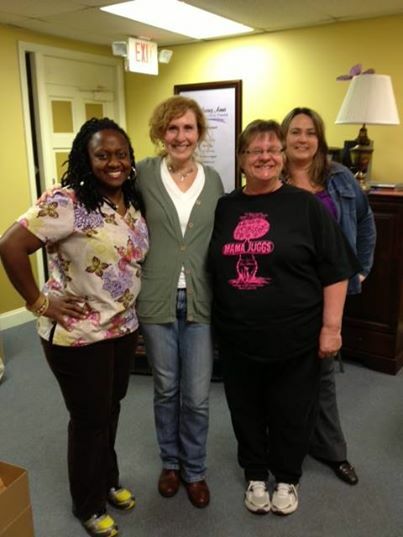 June, 2014: Susan spoke at the Renewal Center, a center that helps those with survivorship questions, in Crystal Lake IL. 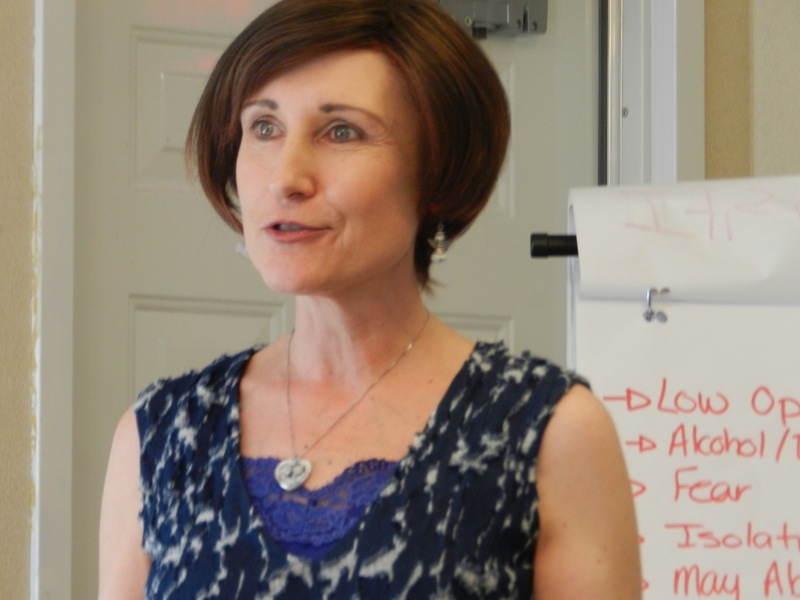 She spoke about cancer survivorship and how to become an empowered patient. 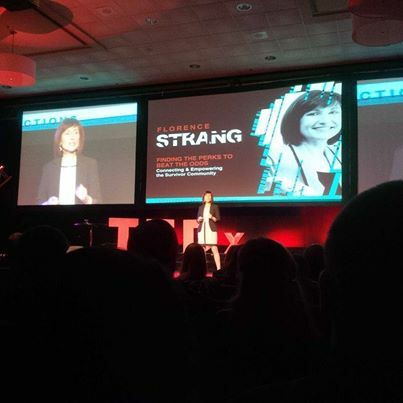 May 7, 2014: Flo was an honored participant in a TEDx talk. Click here to see the entire video! 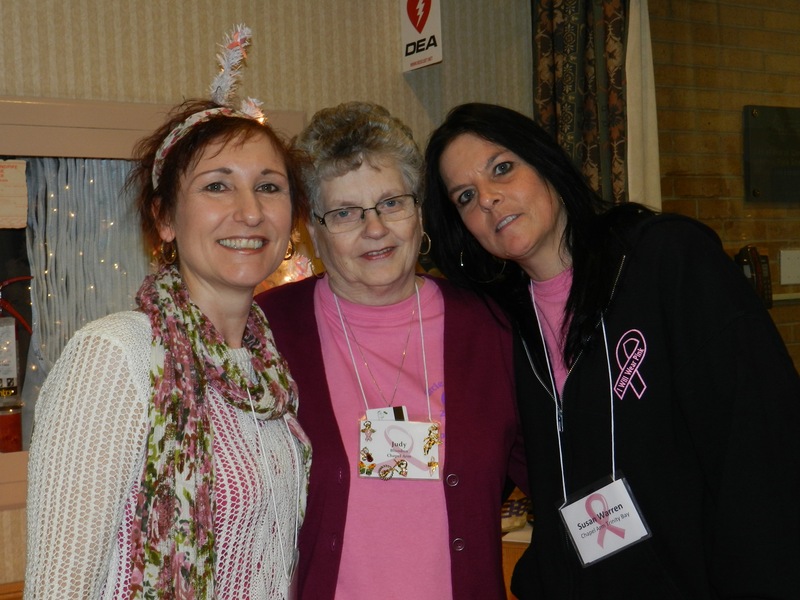 Jan 2014: Susan spoke to the Loving Arms Cancer Outreach survivor’s support group. She made some healthy cancer fighting food and had a lot of fun! November 19, 2013: Susan was at Barnes & Noble in Marietta Georgia for a book signing and to meet the fans Thanks to all who came out! 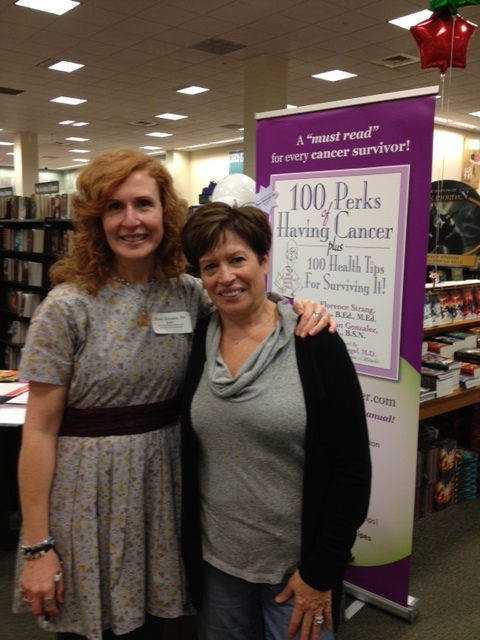 100 Perks of Having Cancer is now available at the Barnes & Noble at the West Cobb Avenue Marietta Georgia! 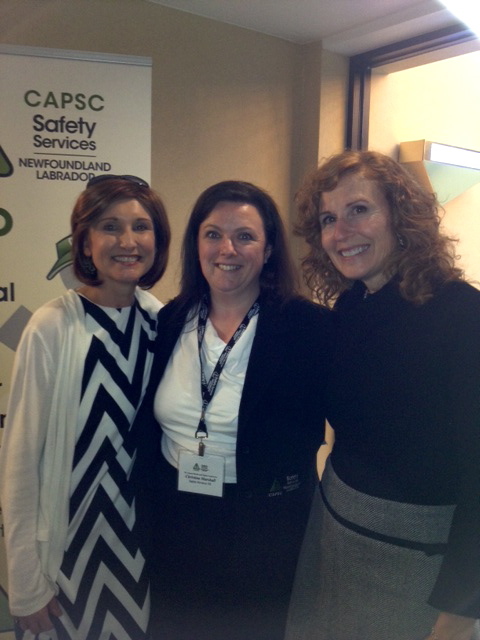 November 4, 2013: Florence and Susan deliver the key note speech at the Newfoundland/Labrador Occupational Health & Safety Services annual meeting. 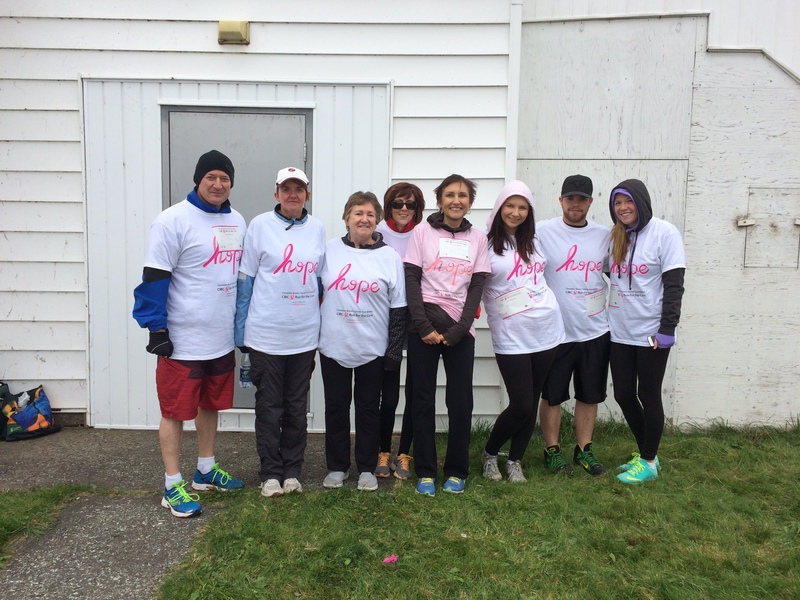 We were so honored to deliver our story and encourage health & wellness! 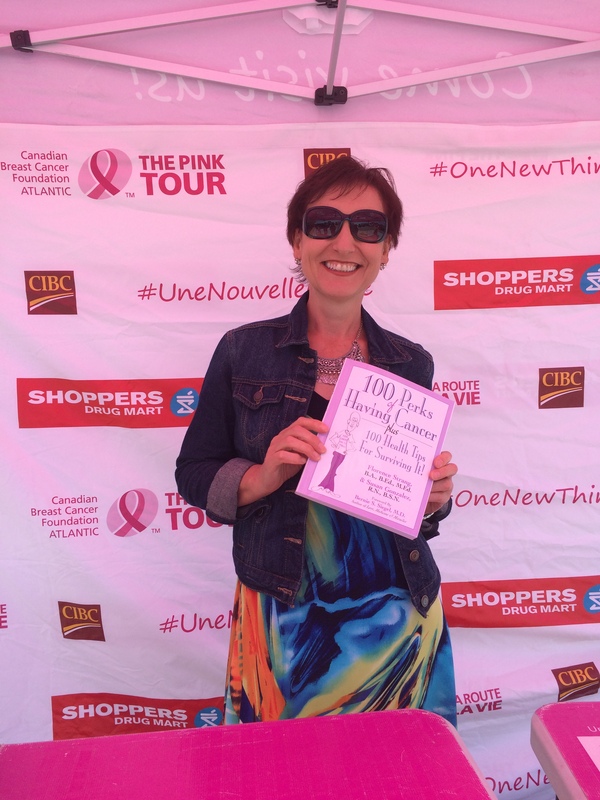 On September 14, 2013, Florence and Susan launched 100 Perks of Having Cancer at the Chapters bookstore in St John’s NL. The turnout was super and much fun was had by all! Have a listen to what they had to say! Florence talks about HOPE at a breast cancer fundraiser. 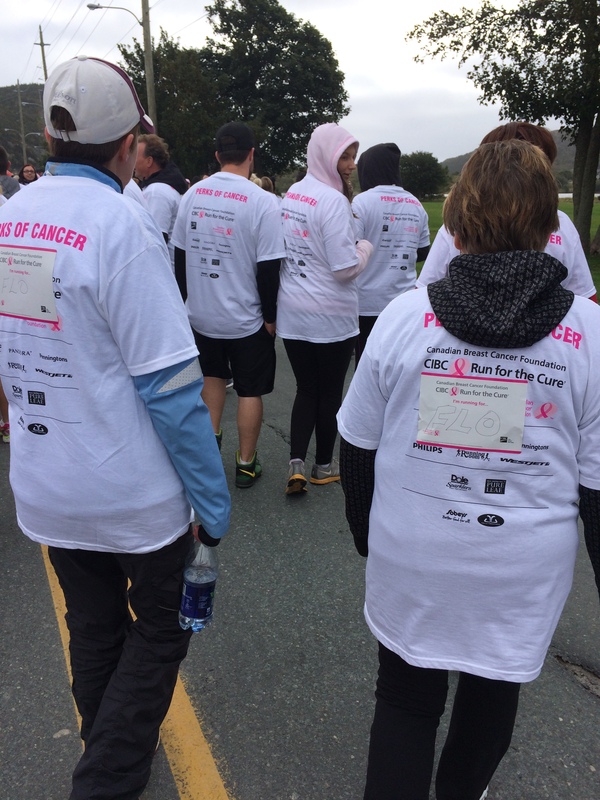 Florence Strang hosted a lunch to benefit the Canadian Breast Cancer Foundation. 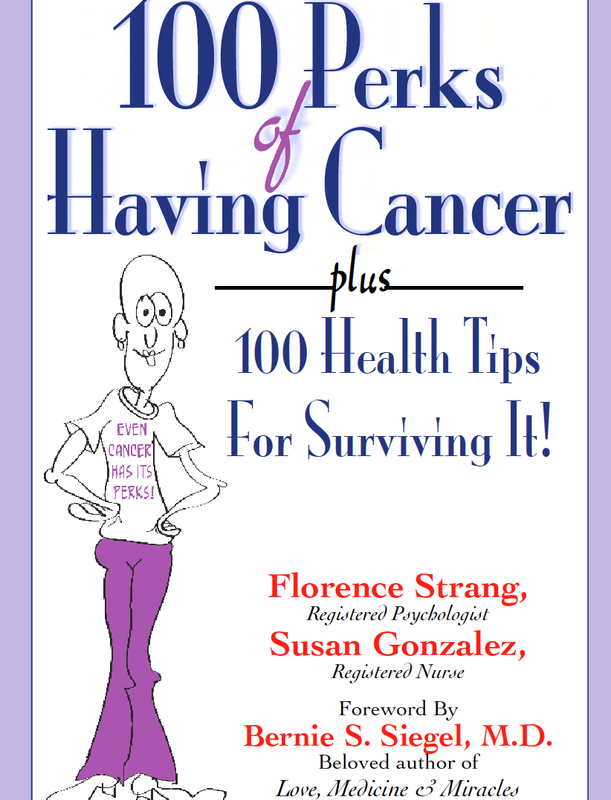 She shared her views about having a survivor’s attitude and signed copies of “Chicken Soup for the Soul: The Power of Positive” where Florence has her story published.